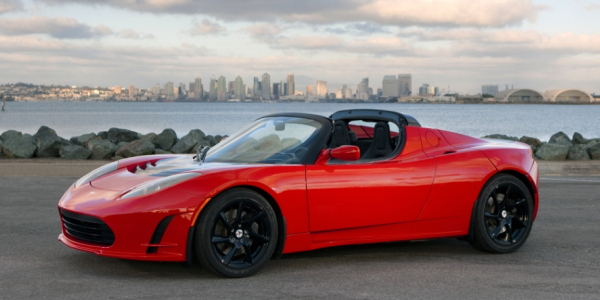 This week Tesla Motors announced that owners of the Roadster. A fully electric vehicle, have covered more than 10 million miles in 30 countries, making it the largest collective distance traveled by an EV maker thus far. The company estimates that the 1,500 plus Roadsters on the road have saved 500,000 gallons of fuel and more than 5.3 million pounds of carbon emissions. The Roadster, Tesla’s flagship, high-performance EV, launched in 2008 and can travel an average of 245 miles on a single charge. In fact, in 2009 a Roadster in Australia set the record for an EV traveling on one charge at 313 miles. Tesla Motors is one of the oldest EV companies, producing several EVs from the super-fast, sporty Roadster to the sleek Model S.
Of course, these cars come with a high price tag – $109,000 for the Roaster and a more modest $49,900 for the Model S – so they’re not for everyone. But those that can afford them are reaping the green benefits.